Do you really like Call of Duty? Do you sometimes worry that you may have too much disposable income? 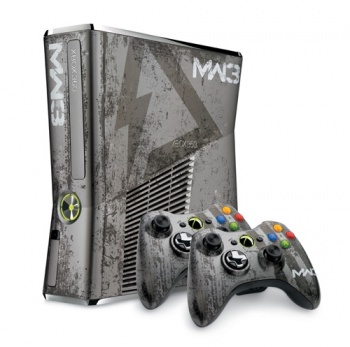 Then these Modern Warfare 3 branded consoles and peripherals might be right up your alley. 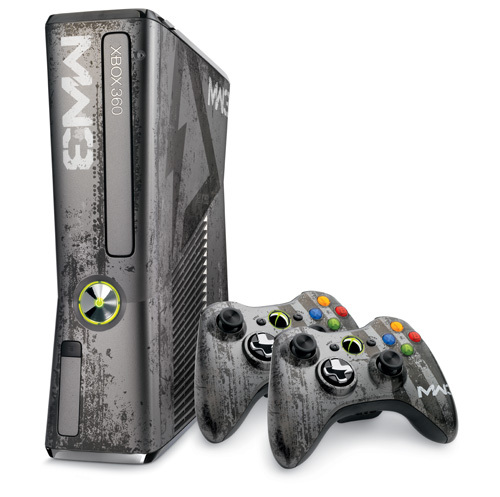 First we have the console - a customized 360 Slim with a scratched and pitted gray paint job that makes it look like it's been through a tumble drier full of nails - comes with two equally customized wireless controllers, a whopping 320GB hard drive, a copy of Call of Duty: Modern Warfare 3, a one month Xbox Live card so you can sample the game's multiplayer modes and a few exclusive items for your Xbox Live avatar. The console also plays a "custom sound" when it boots, presumably either gunfire, random beeping, or the nasally voice of a 12-year-old boy calling you a random racial slur. Now all this extravagance costs a pretty penny, those 12-year-olds don't work for free, and as a result, the 360 bundle will set you back an estimated retail price of $399. A hundred more than the regular 250GB model shambling plebeians can buy from Amazon right this second, but when you factor in the cost of a new copy of Call of Duty: Modern Warfare 3 and an extra controller, it actually turns out to be quite a nice deal. 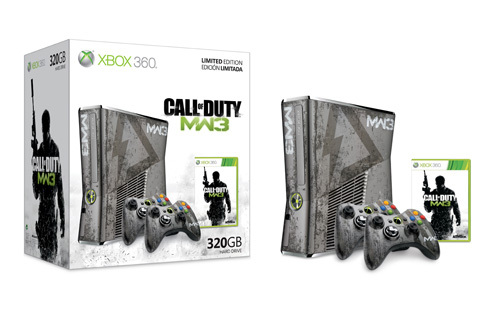 Assuming you don't already own an Xbox 360. But maybe that's a bit too rich for your blood. What else have they got? 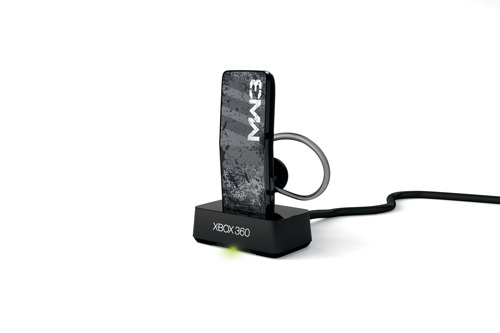 Well there's the Modern Warfare 3 Wireless Bluetooth headset, which retails for $69.99, or you can buy the customized controllers separately for $59.99. The controllers are the new "special edition" variants with the ridged analog sticks and a directional pad that actually works. Both come with a Xbox Live token for a mysterious "exclusive download." The console bundle will launch alongside Call of Duty: Modern Warfare 3 on November 8. 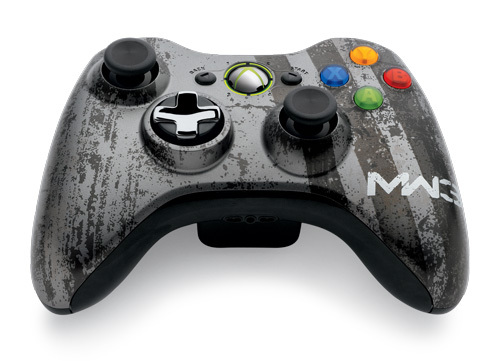 The controllers and other doodads will be shipping to stores on October 11. Thank you for your time. You may begin angrily hooting at the sky and exclaiming that you haven't bought a single Call of Duty since [Arbitrary installment in the series] ... now.